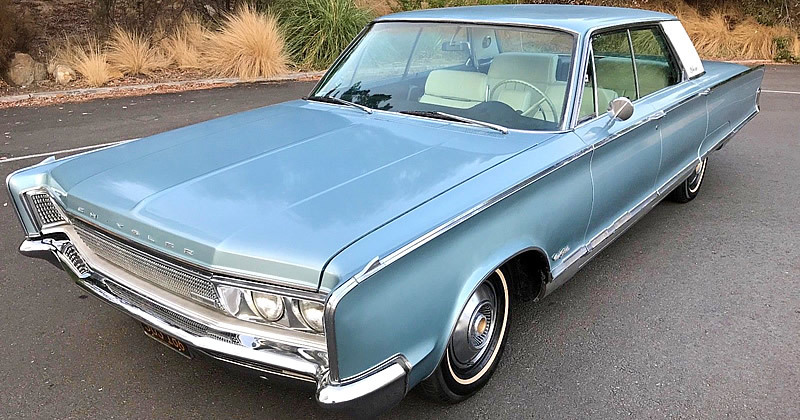 Here we have some mid-sixties luxury in the form of a 1966 Chrysler New Yorker 4-door Hardtop in Crystal Blue Metallic paint (code DD-1). The New Yorker was Chrysler's top model for 1966. It came with a stack of standard features including; TorqueFlite automatic transmission, power steering, power brakes, heater with defroster, glove box with tissue dispenser and sliding map tray, door-to-door carpeting with lower door panel carpeting, padded instrument panel with walnut grain applique, six-way manually adjustable seat, rear pull-down center armrest, walnut applique on door trim panel. 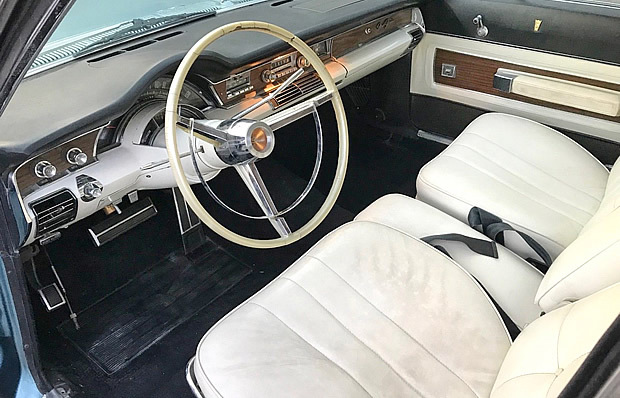 Competition at the time would have been from cars such as the Buick Electra, Mercury Park Lane or the Oldsmobile 98. 1966 saw minor revisions such as a new grille and taillights. Exterior trim was added too such as the "New Yorker" script behind the front wheel housing. Power comes from the 440 cubic inch 4BBL V8 . This car has the optional 440V8 TNT upgraded "RB" engine produced 365 horsepower (350 hp for the standard engine). It cost an additional $79 when ordered new. The New Yorker has a wheelbase of 124", is 219" long, 79.5" wide and a curb weight of 4,095 lbs. 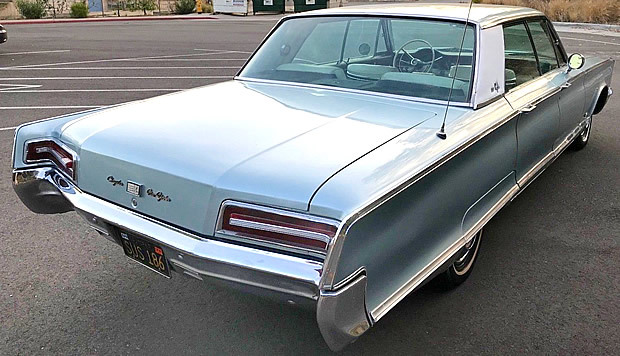 Chrysler made 26,599 New Yorker 4-door Hardtop Coupes for the 1966 model year at a base price of $4,324. This car is also equipped with air conditioning a $510 option and was originally built in Newark, Delaware.